Blesbuck, or Blesbok, is an antelope that is native to the southern part of the Afrcian continent. This is a medium sized antelope with beautiful dark brown color and a white ‘blaze’ spot on the forehead, which inspired its name. In addition to Common Blesbuck hunts, some outfitters also offer to hunt its color phase variants, Yellow and White Blesbuck.To hunt Blesbuсk, go to South Africa or Namibia. The shooting fee for Common Blesbuck can be as low as $200 for cull/biltong hunts, and $300-$400 for a trophy animal. Package deals that include Common Blesbuck start at just over $1,500 for 2-3 trophies and hunting days, and average about $6,500 for 6-8 night, 5-7 trophy hunt. Color phase Blesbuck are a bit more expensive. Their prices are in the range of $600-$1,000 for the White and $1,500 for the Yellow Blesbuck. 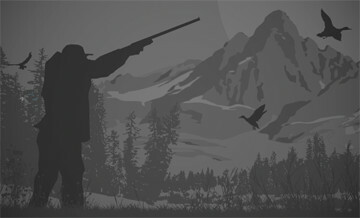 Do not forget to add daily rates to the trophy fee to get the complete price of the hunt. What are the most popular trophies? What is included in the “daily rates”? Do I have to tip the team? How about taxidermy? Is there anything else I should budget for? Hunters who are only considering their first hunt in Africa have many questions, but the financial one is among the most important. Here you will find all the basic info you need for planning your first safari. Opportunities to hunt Blesbuck exist year round, although hunting is closed in Namibia in December and January, and these months may be too hot for hunting in the northern areas of South Africa. The best time for trophy hunting for Blesbuck is the rut, when bigger dominant rams are easier to identify. The rut usually occurs from March to May. Spot-and-stalk is the preferred method of Blesbuck hunting, although it’s an open question whether spotting a suitable male or stalking in range is harder. Like with many other African antelopes, Blesbuck herds are divided into family (containing mostly ewes and lambs) and bachelor. Old males usually hang out alone, except during the rut, when they protect their territory and try to assemble a herd of females around them for breeding. Rams and ewes are similar in appearance, and both carry horns. A ram is usually bigger, and its horns are longer, but it often takes a trained eye to see the different. Blesbuck prefer highveld plains and open grasslands, where approaching them can be quite a challenge . These antelopes are grazers and do not venture far from sources of water, so hunting from a blind over a waterhole is a viable alternative to spot-and-stalk. Blesbuck is rarely the first antelope that Europeans and North Americans think about, overshadowed by other species such as Kudu, Impala and Eland. But South African and Namibian hunters hold Blesbuck in high esteem - it’s one of the three most popular antelopes to hunt for biltong and skins. With trophy and sport hunters, according to one survey, it’s the fifth most popular trophy in South Africa. This antelope is as graceful as it is widespread. The striking contrast between dark skin and white ‘blaze’ on the muzzle will make for an impressive trophy mount that will serve as a symbol and a memory of an African hunting adventure.